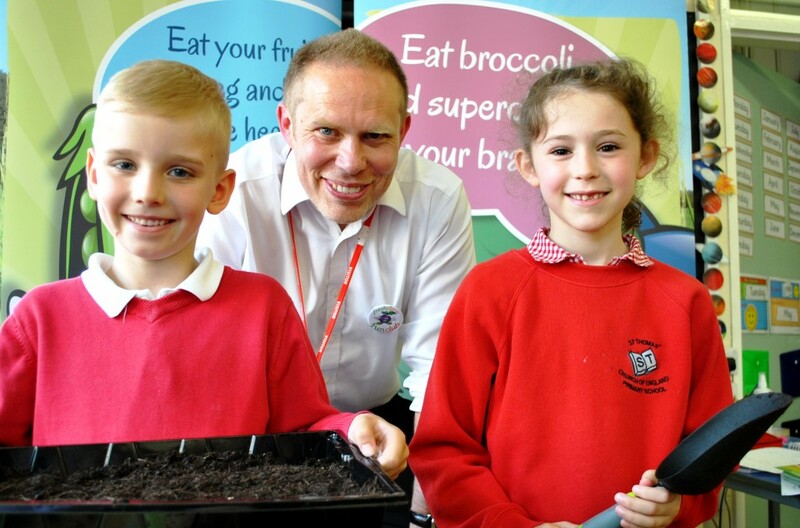 Youngsters at a Boston primary school rolled up their sleeves yesterday (Tuesday) and got stuck in to learning all about healthy eating and how vegetables grow. pupils, as part of a whole term of vegetable-related activities. Head of Agronomy Mel Miles was on hand with a grocer’s box full of vegetables to test the children’s knowledge, from sweet potato and cauliflower to less familiar varieties such as okra, leeks and radishes. Following the introduction Year 2 took part in a planting session, with Mel on hand to encourage and guide them. Each pupil helped sow carrot, kale or spinach seeds, which they will replant in the school’s reflective garden when the weather improves. Later this term Year 3 pupils will be challenged to create a healthy new product complete with packaging and an advertising campaign. Year 6 pupils will go one step further by creating a food product which they will market to parents, teachers and other pupils. Freshtime representatives selecting the winning product. 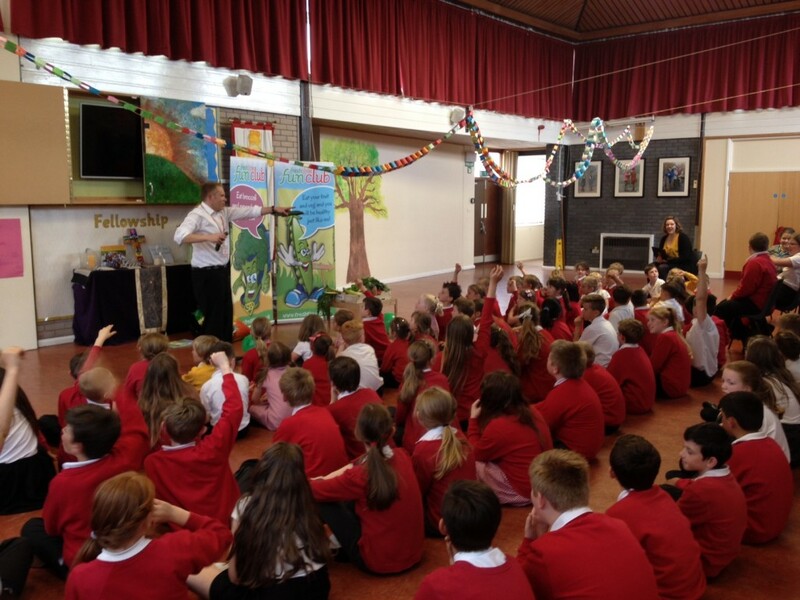 “The children really enjoyed meeting the visitors from Freshtime – they were delighted with their Fun Club goodies and can’t wait to get started on their activities!” said Alison Smith, Year 3 Teacher at St Thomas’ Primary School. Members of the Freshtime Fun Club received balloons, bookmarks, badges and the first of three monthly activity sheets. Freshtime Managing Director Mark Newton, who visited the school for the launch on Tuesday, said: “It was wonderful to meet such an energetic and knowledgeable group of children, who are clearly enthusiastic about the activities we’ve got coming up this term.